After a chance meeting with Professor Maria Mercedes Roca at Stanford University, in June 2013 I was invited to co-teach a week long Synthetic Biology class on the design and testing of a copper biosensor in E.coli at Zamorano University (Panamerican Agricultural University, Zamorano) in Honduras . The project was very appropriate to Honduras since several of their lakes are contaminated with copper runoff from fields due to the use of pesticides to fight coffee rust. We all shared an amazing experience and learned a lot from each other. 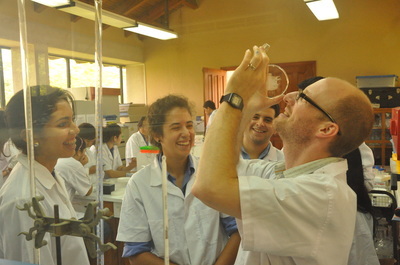 Lake Yojoa Honduras, contaminated with copper runoff. 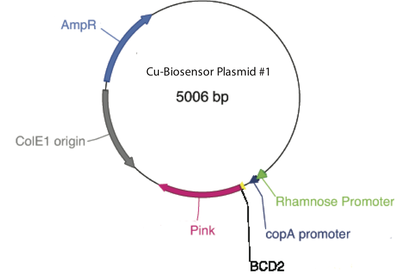 Copper biosensor design: high-copy plasmid with a tandem promoter setup using the rhamnose-activated promoter rhaP(BAD) followed by the copper activated CopA promoter. The working copper biosensors responding to Cu2+ on the agar plates. 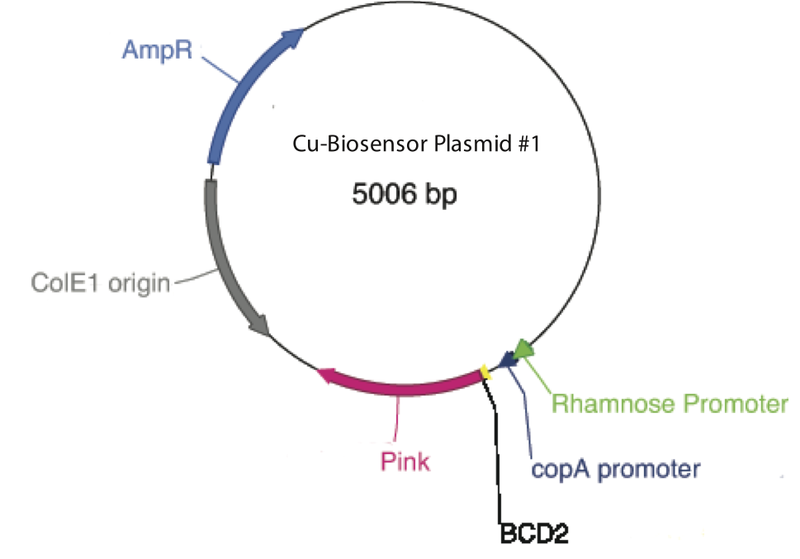 Copper biosensor responding to copper on right plate and no copper on left plate. 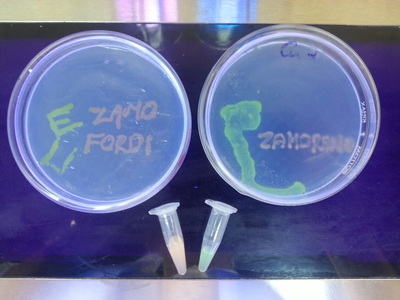 Eager and excited Zamorano students transforming E. coli with our copper biosensor. 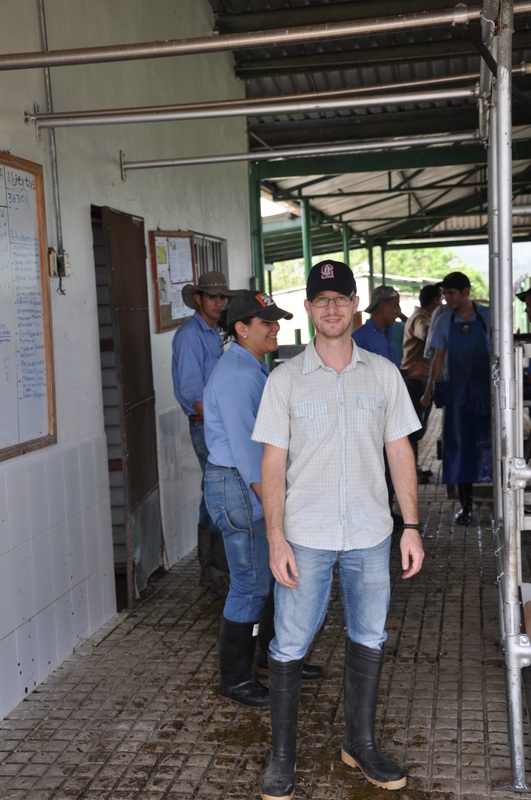 Getting ready for my cow milking experience. Fitting a milking apparatus on a cow is harder than it looks! 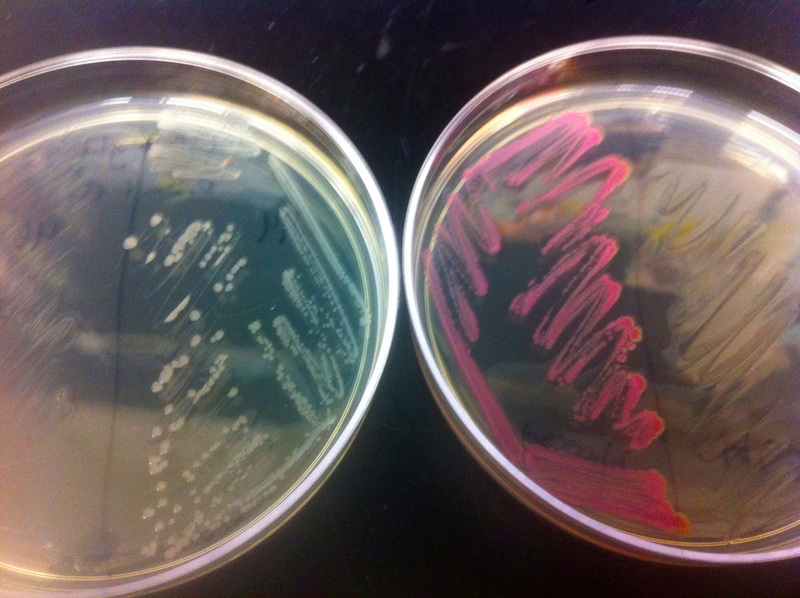 Trying hard to see some bacterial growth on those plates with the students in the biotech lab. 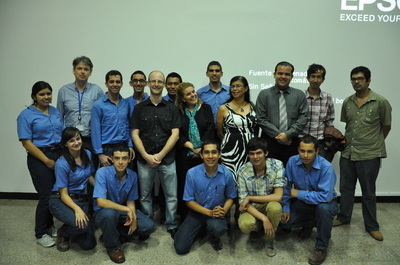 A Group picture with several of the students at Zamorano and Professors Maria Mercedes Roca and Arie Sanders.